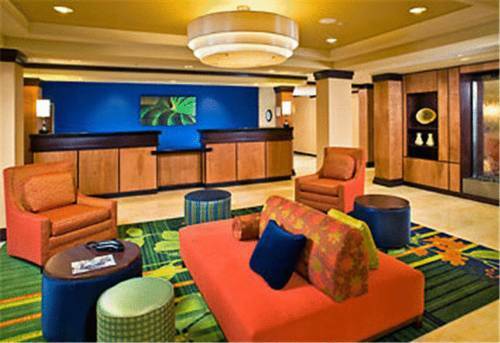 Enjoy Hill Country hospitality within easy reach of San Antonio, Six Flags Fiesta TX, and Sea World. The Fairfield Inn & Suites Boerne offers you an ideal location off IH10, exit 543, spacious rooms and hot breakfast at a great value. Discover the rich TX history of the Alamo and Missions. Take a leisurely stroll or boat ride along the San Antonio River Walk. Explore the TX Hill Country, hiking, horseback riding or biking. Dine at one of Boerne's local restaurants after antique & art shopping or go on a wine tasting tour. Relax in your oversized room or suite after playing at Fiesta TX or Sea World, tubing along the Guadalupe, golfing, or shopping at La Cantera and The Rim. Up the road is Cascade Caverns, 68 degrees and the only cavern in TX with a 100 ft waterfall. We offer the best range of services including an outdoor pool, hot tub, Fitness and Business Centers, free WiFi and meeting room. Whether you are planning a vacation, romantic getaway, sports event, or corporate meeting, we welcome you.